Many companies match their employees’ charitable giving—thus allowing you to double your impact! Check and see if your employer will match your charitable gift with our Double The Donation search tool. You can impact a student’s life today through a variety of giving campaigns that will let you direct your workplace charitable giving donation to the Thurgood Marshall College Fund. Federal employees can contribute to TMCF through writing TMCF or Thurgood Marshall College Fund on your pledge card and using our CFC number: 11691. State Combined Campaign State employees can contribute to TMCF through their individual State Combined Campaign, by writing TMCF or Thurgood Marshall College Fund on your pledge card. If your employer’s workforce giving campaign uses America’s Charities, you can increase TMCF’s impact by writing Thurgood Marshall College Fund on your pledge today! 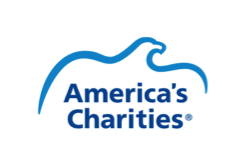 TMCF is a member charity of Network For Good, an organization that works with companies to engage employees through annual workplace giving campaigns and charity gift cards.Designate Thurgood Marshall College Fund to receive your charitable donation! 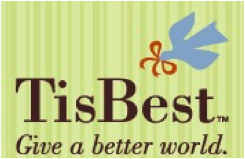 TisBest Philanthropy is a leader in the charity gift card industry. Designate the Thurgood Marshall College Fund to receive your charity gift card funds today!